Dry Chemical Wetting | EGM, LLC. EGM has constructed special use equipment for the preparation of dry products that must be put into slurry or solution prior to use. Examples include systems for starch, silica, PVOH, CMC, sodium bicarbonate, talc, diatomaceous earth, lime, and specialty adhesive products. Most commonly, systems are designed for use with products that delivery is bulk bag or 50 lb. 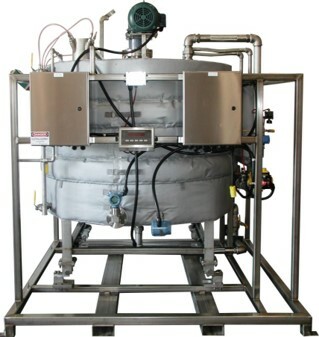 bag quantities and incorporate appropriate bulk bag handling equipment, dry product storage hoppers, wetting mechanisms and properly constructed mixing vessels to condition the products prior to use. With in-house automation and control personnel on staff, each system can be customized to operate in batch or continuous fashion and utilize hard-wire or PLC based controls. 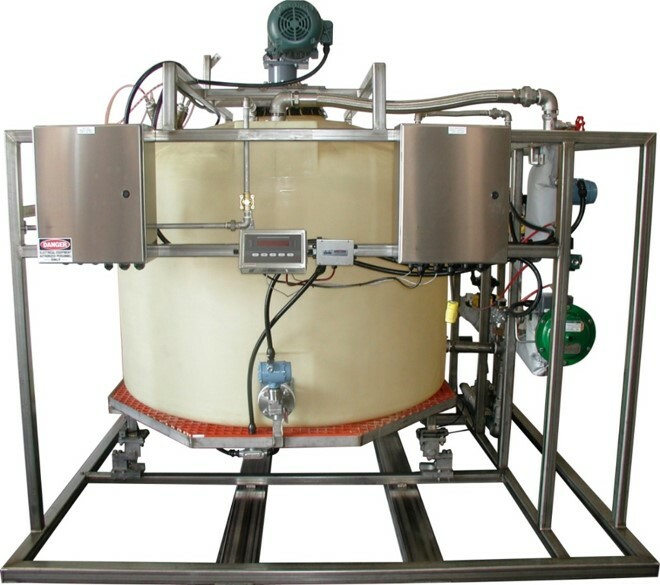 Pending the required accuracy and repeatability, designs can be volumetric or gravimetric in nature and customization to each user requirement is possible.